With all of the projects I had been doing around the house, I finally decided to build myself a decent work space. 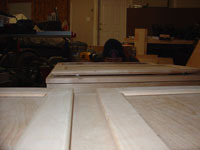 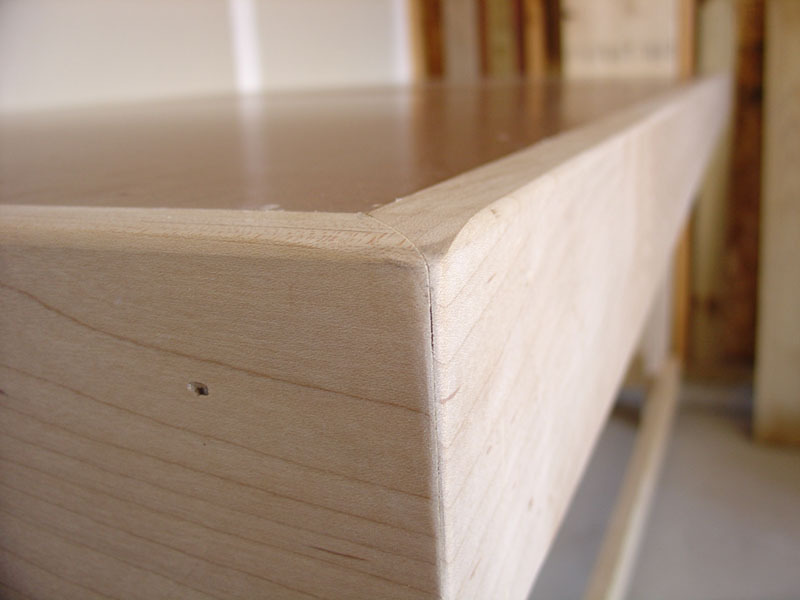 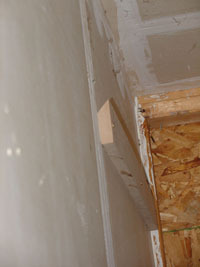 So I bought a couple 2x4's, hardboard, and a little maple trim. 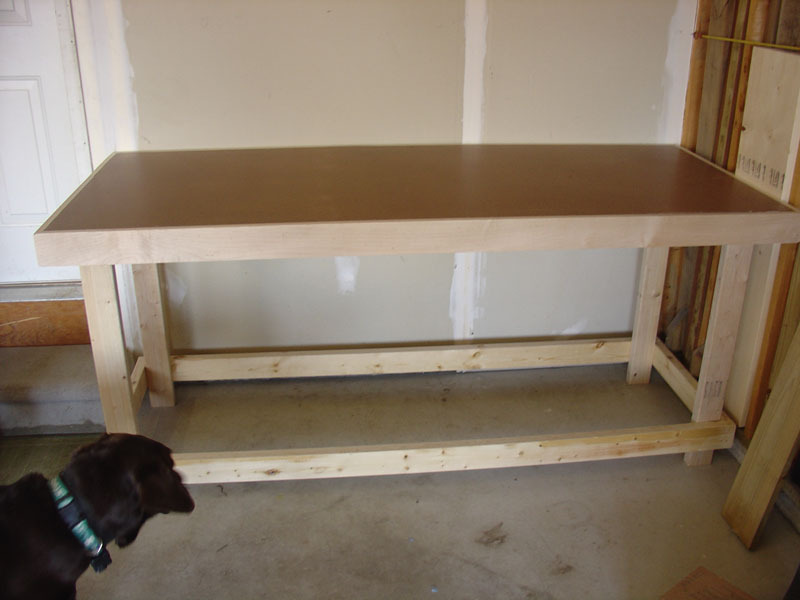 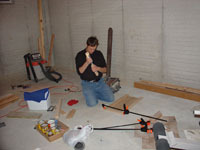 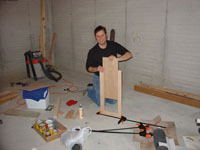 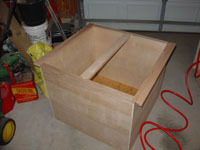 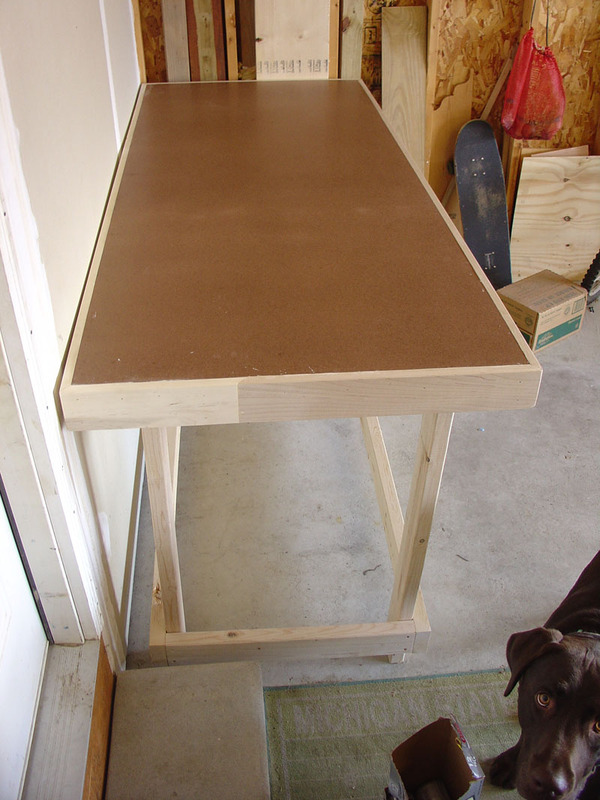 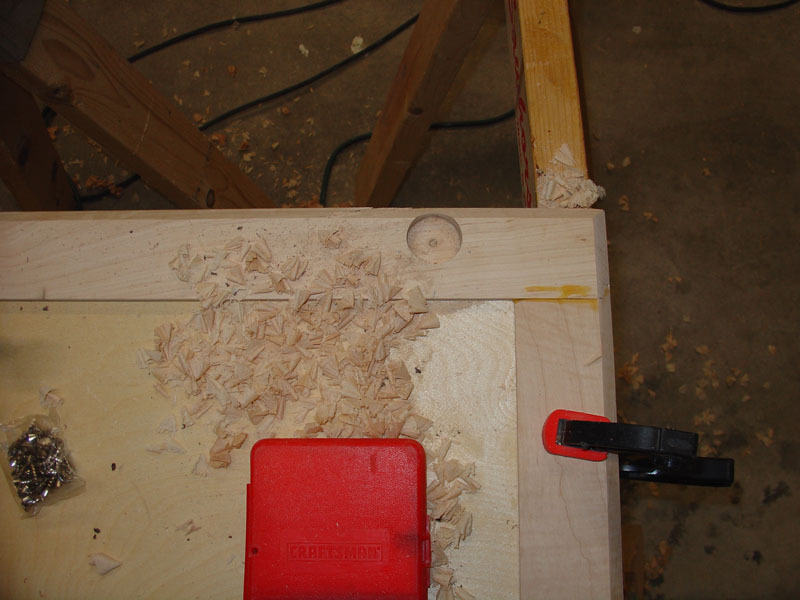 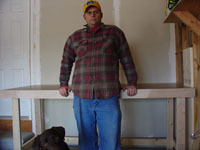 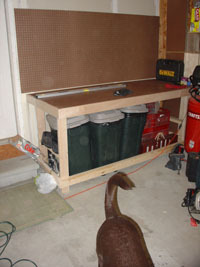 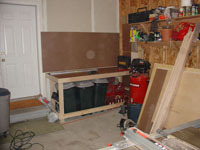 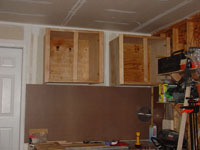 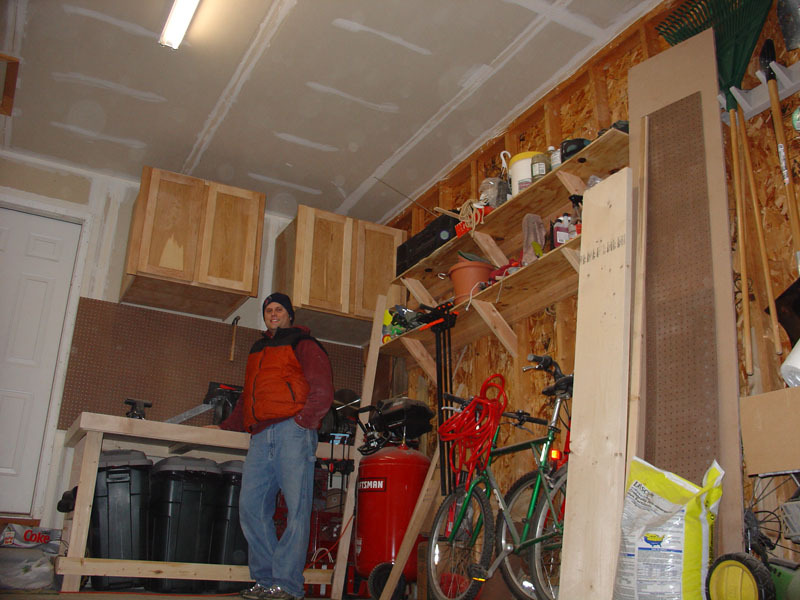 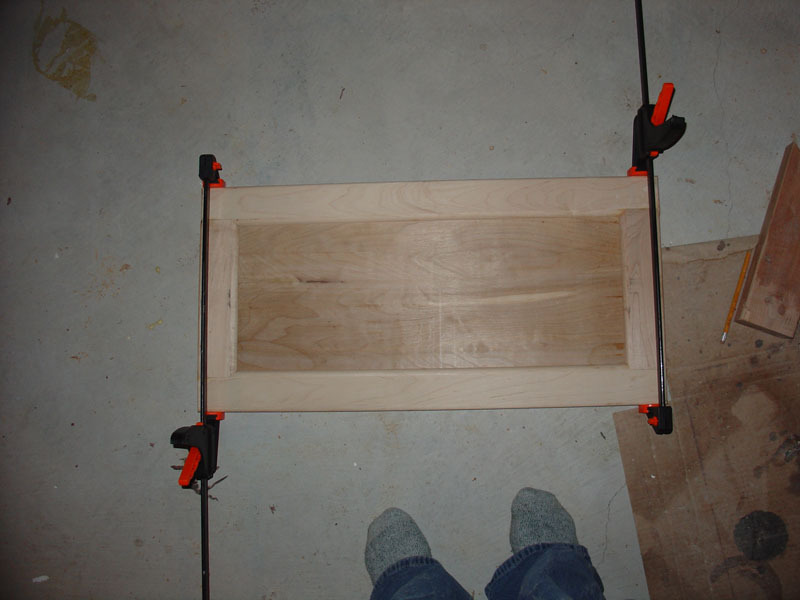 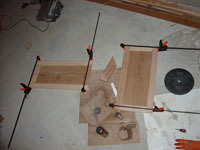 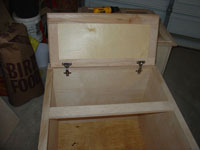 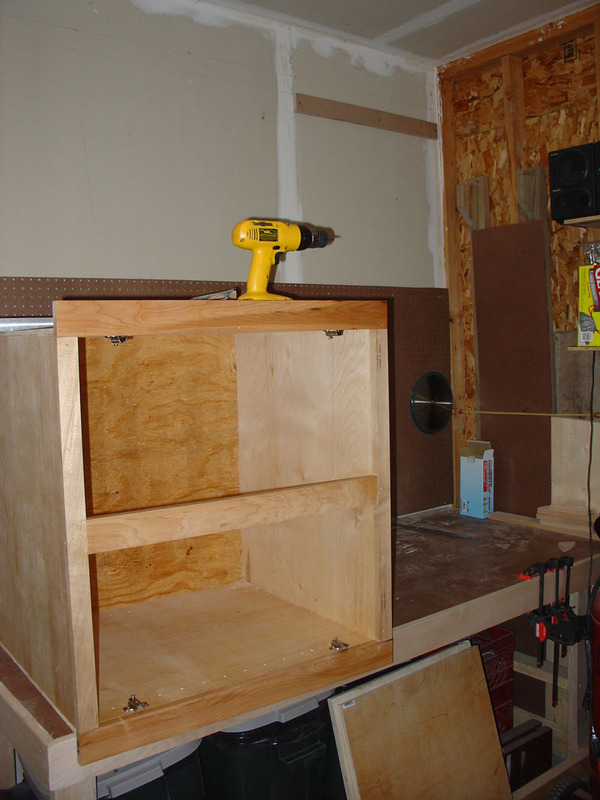 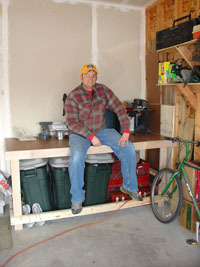 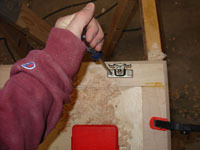 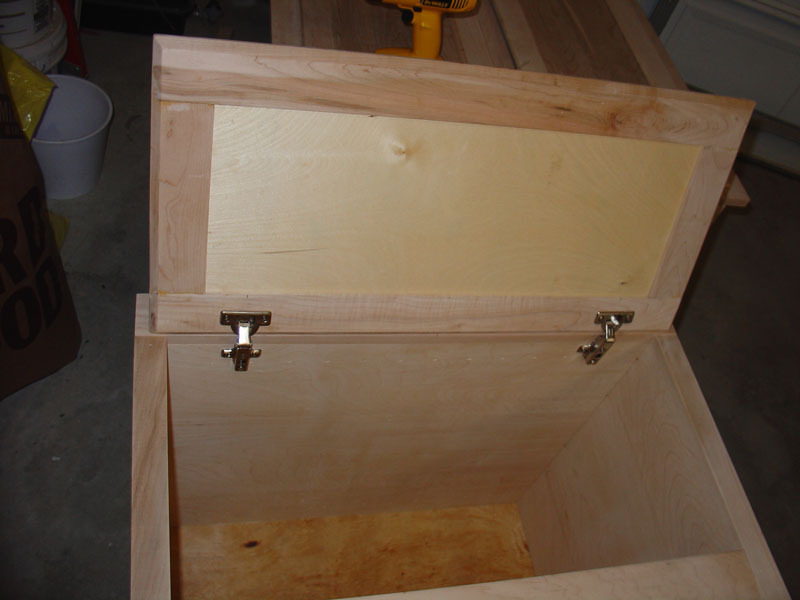 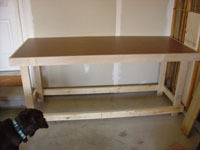 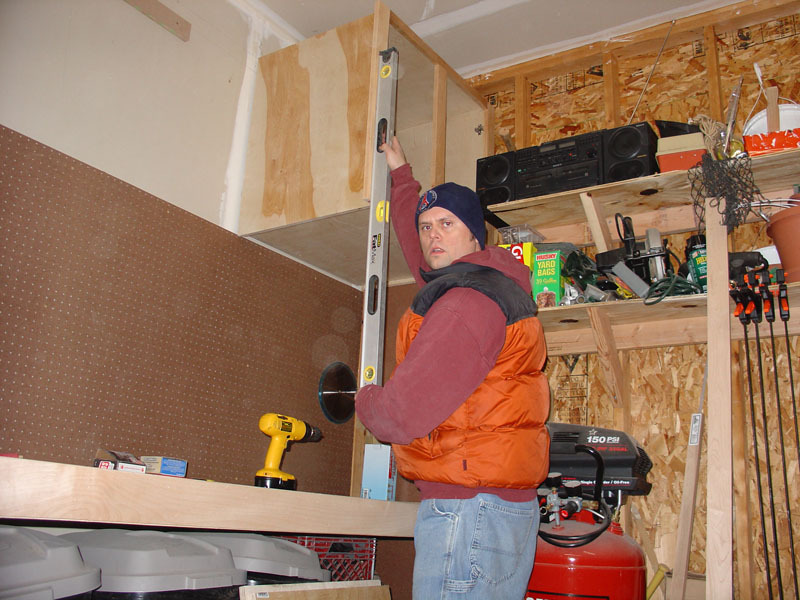 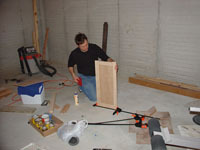 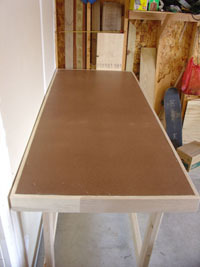 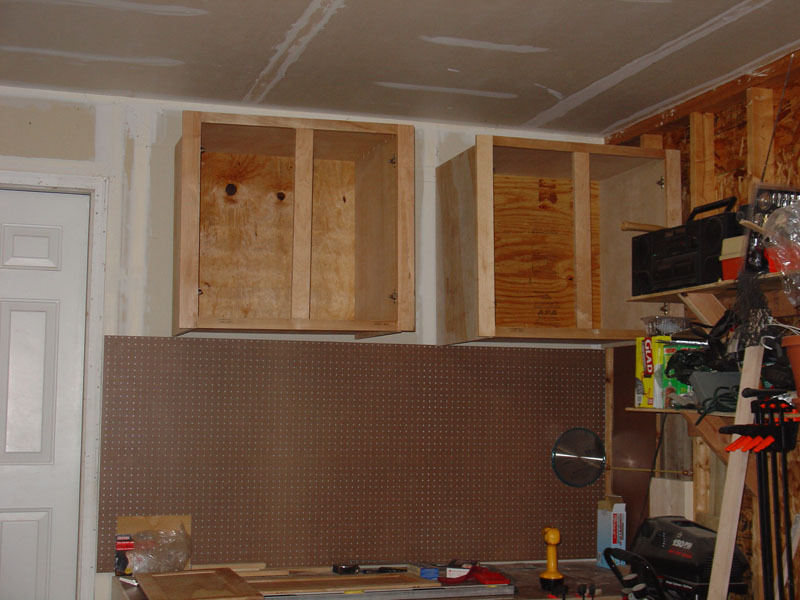 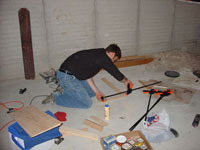 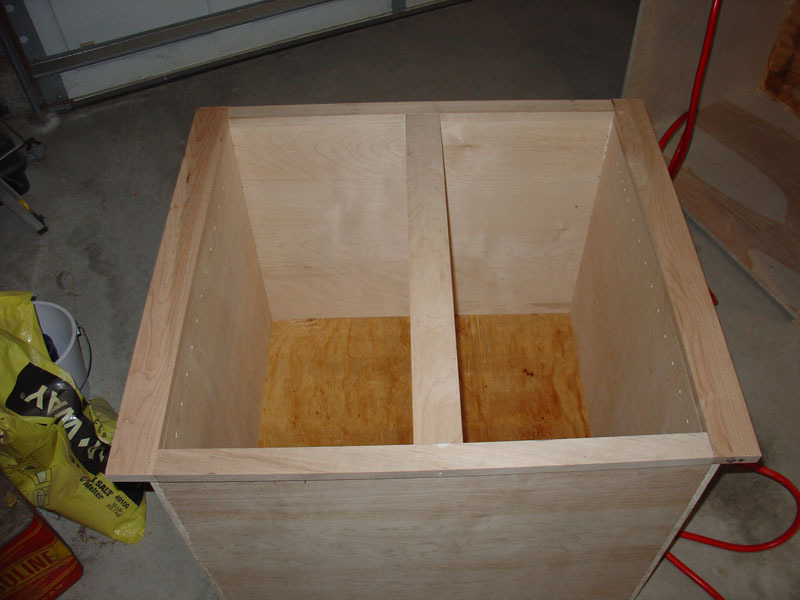 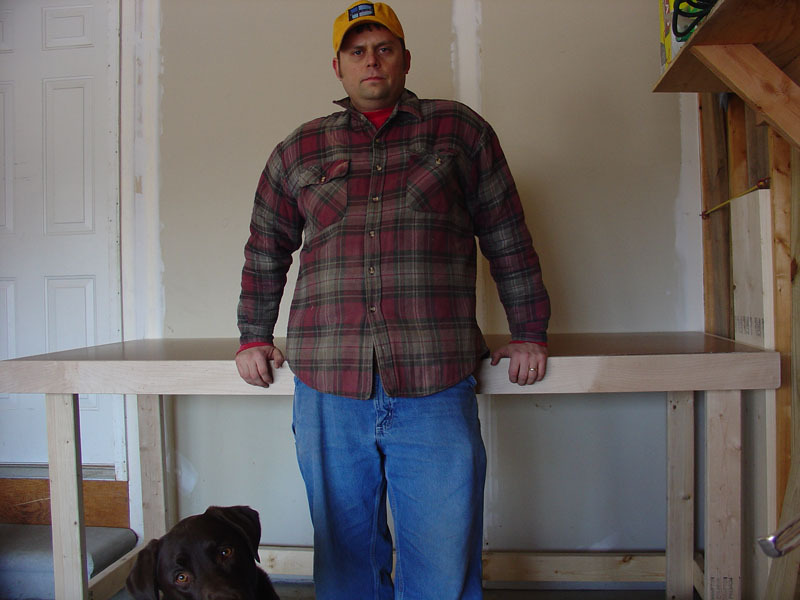 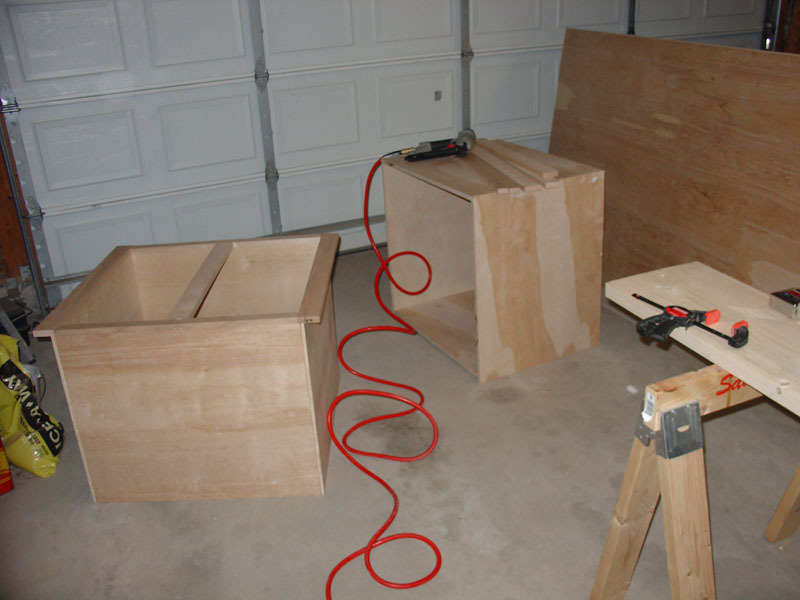 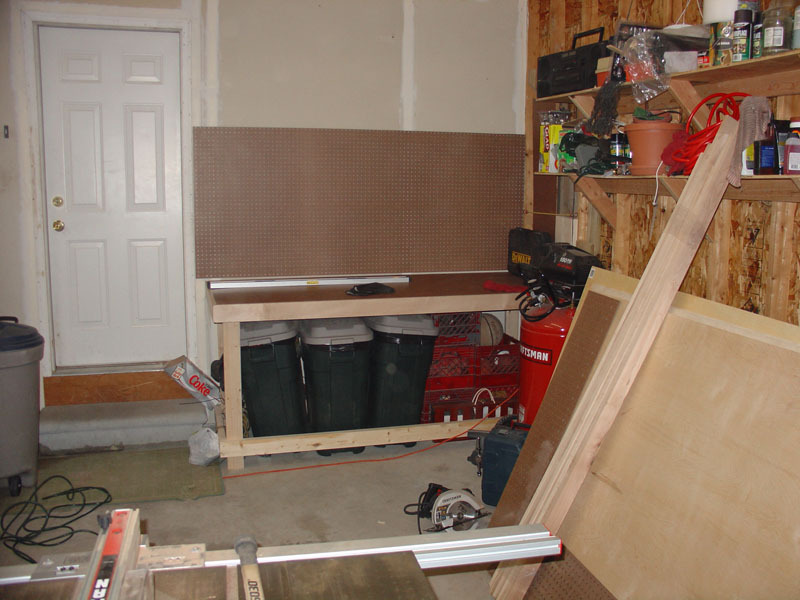 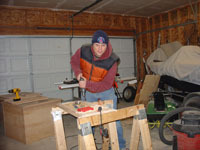 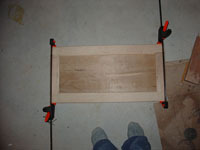 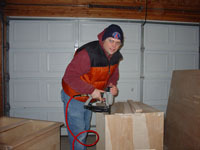 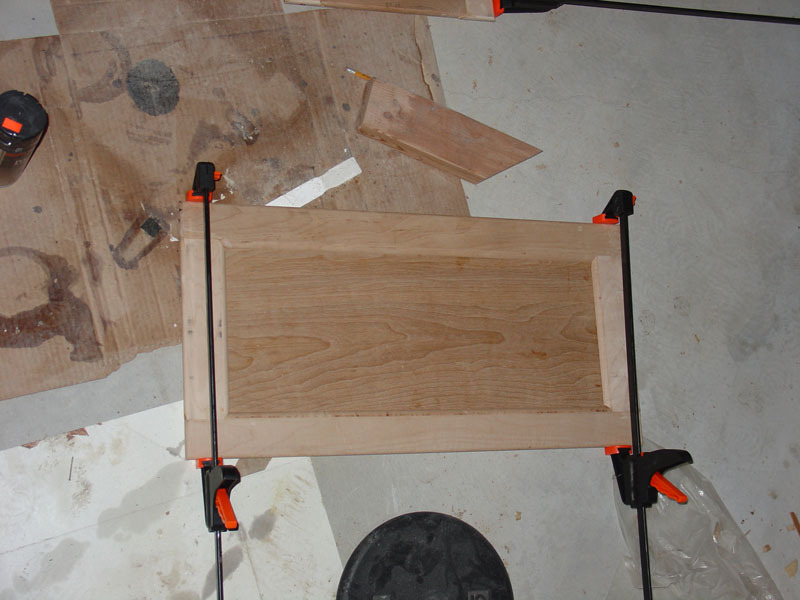 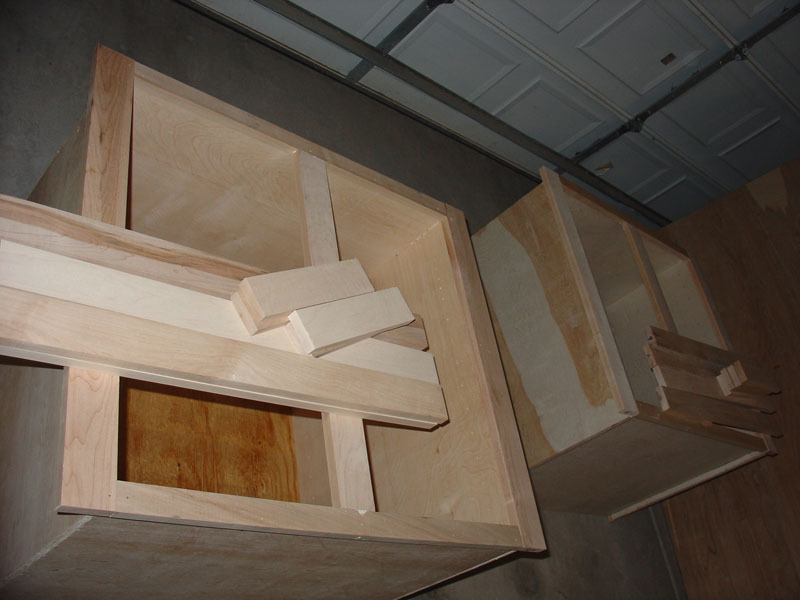 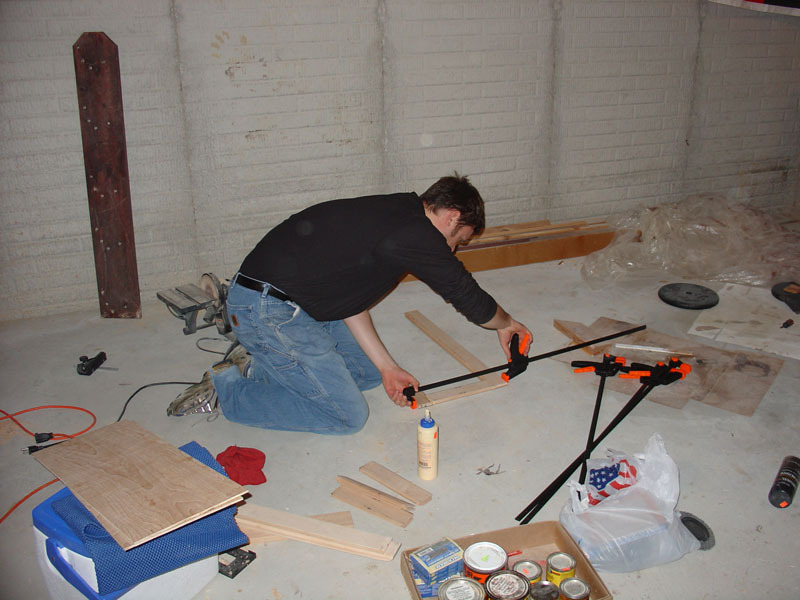 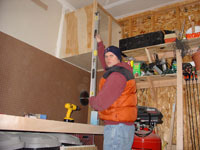 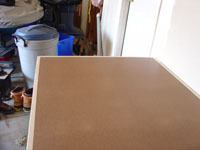 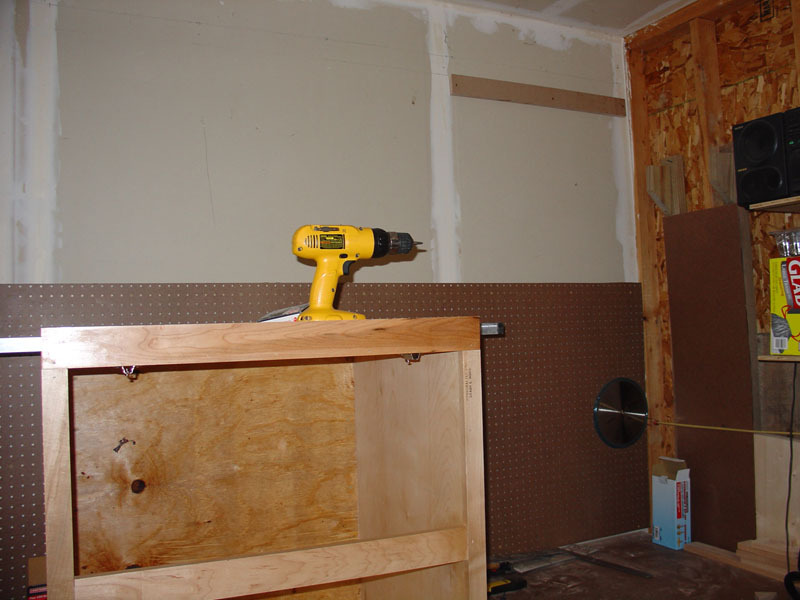 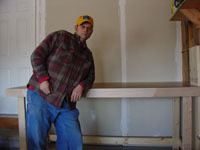 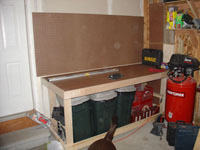 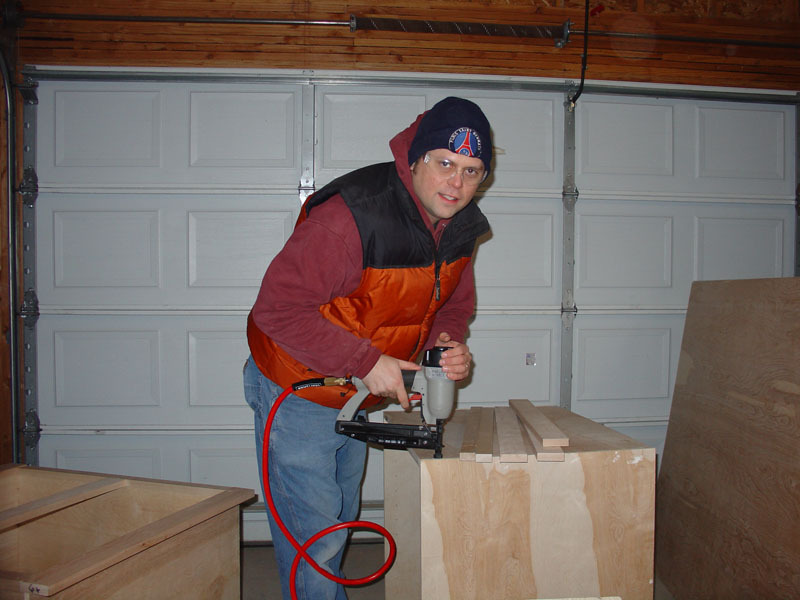 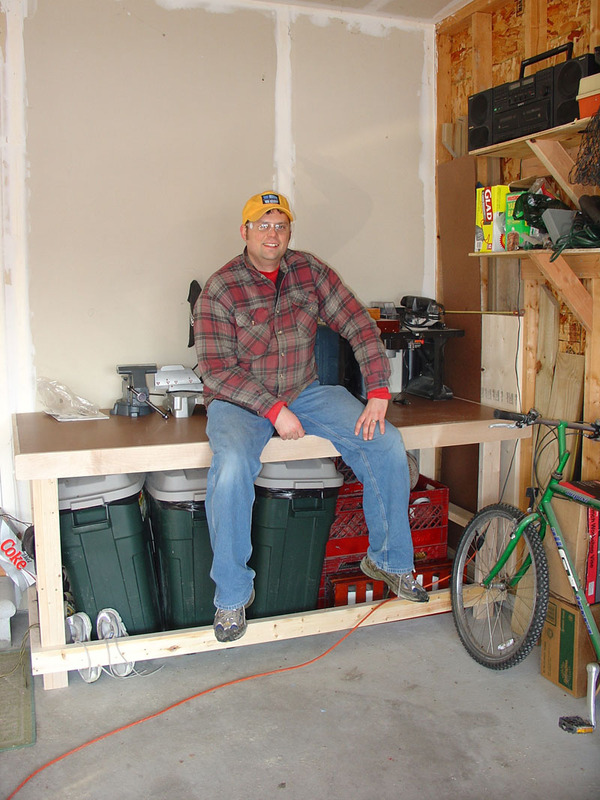 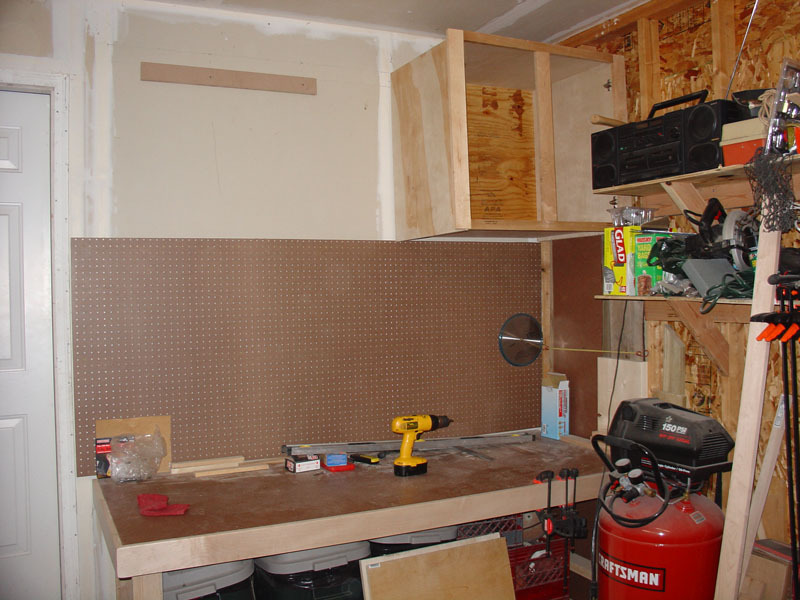 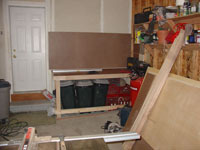 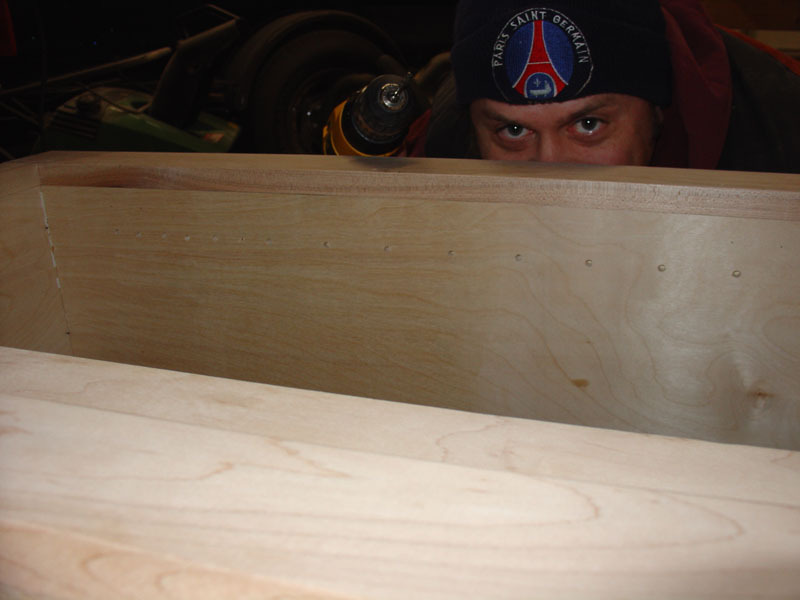 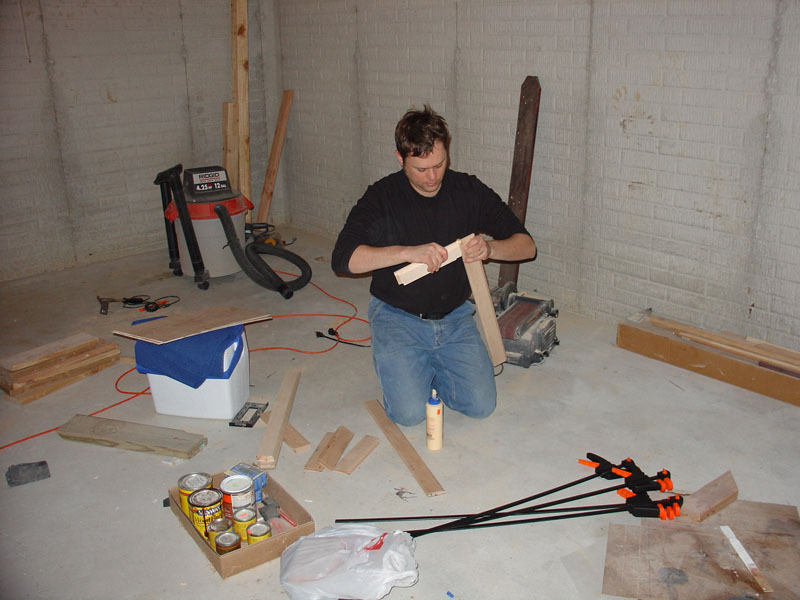 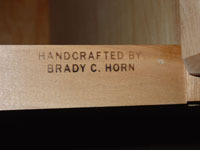 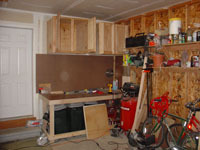 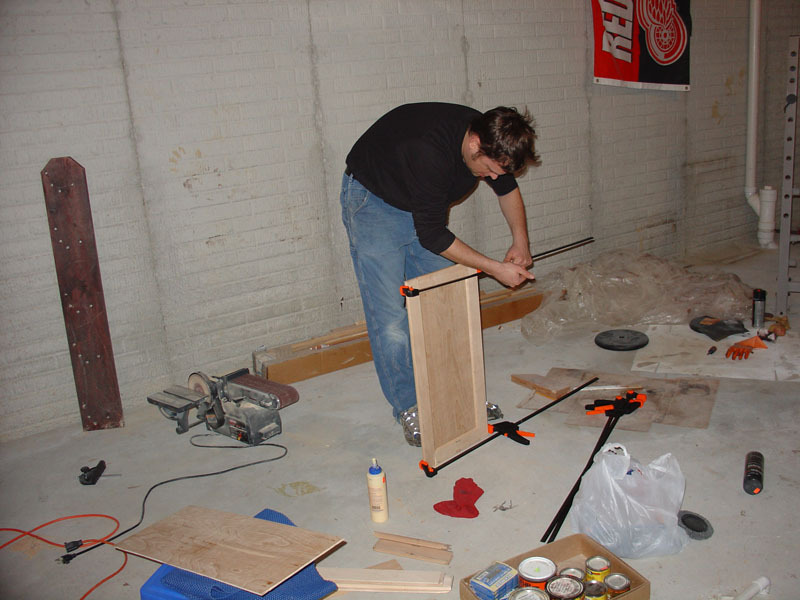 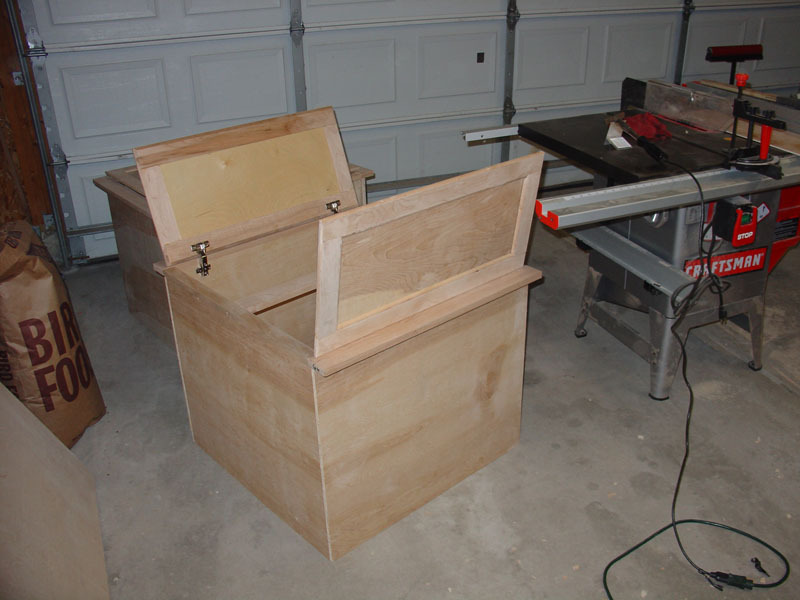 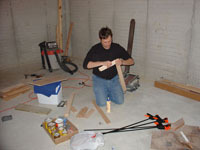 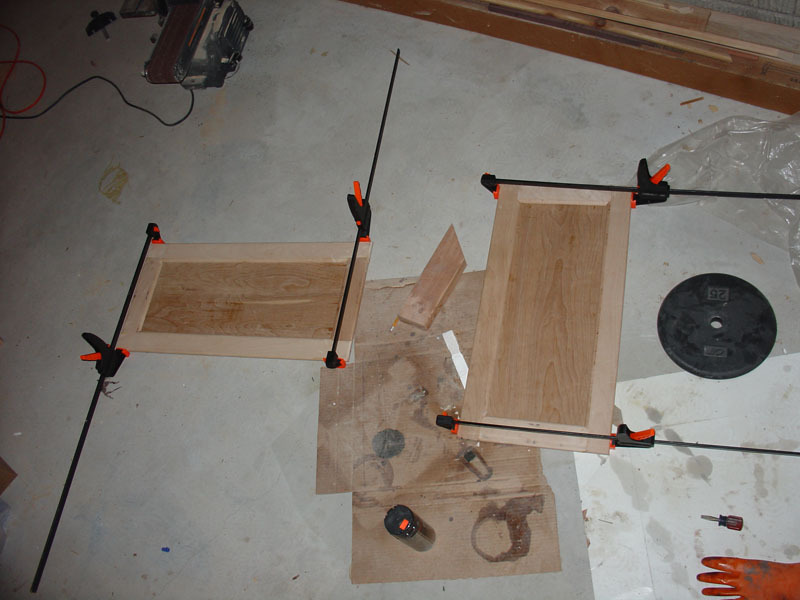 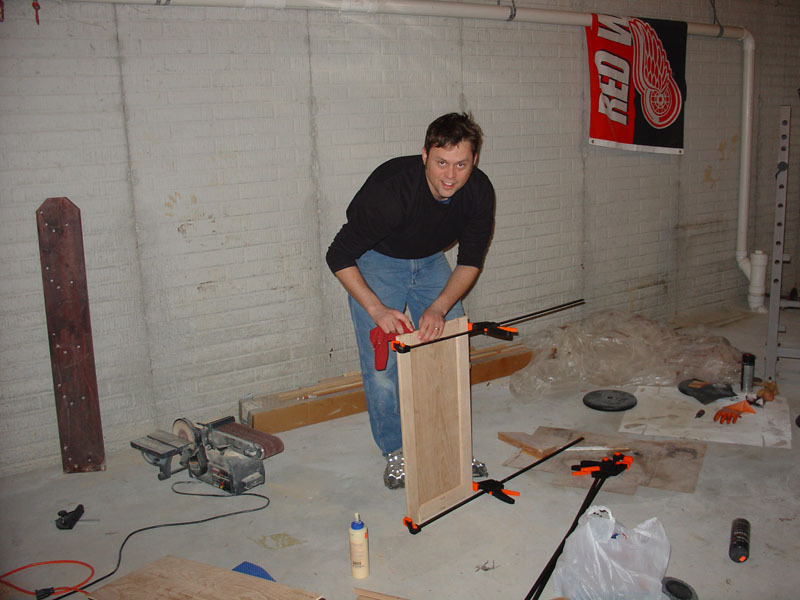 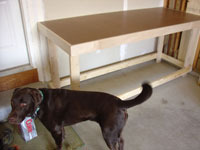 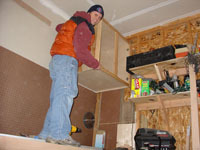 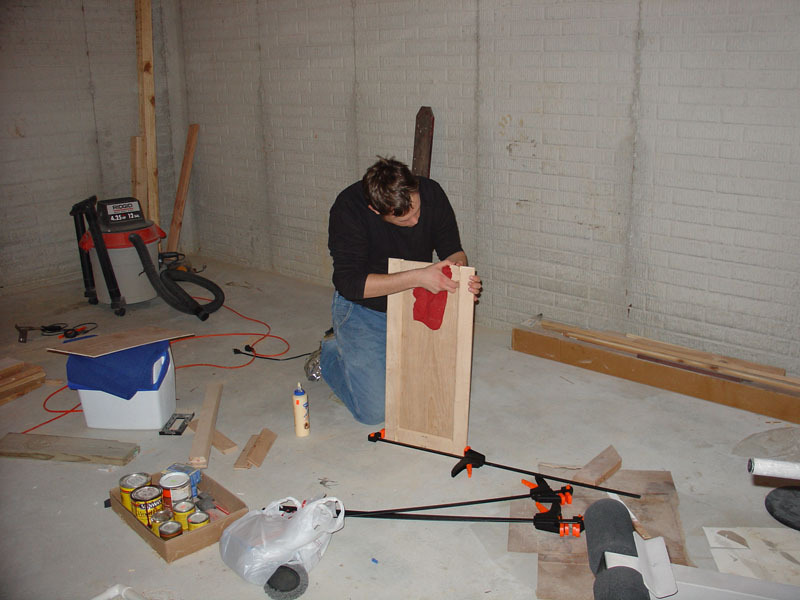 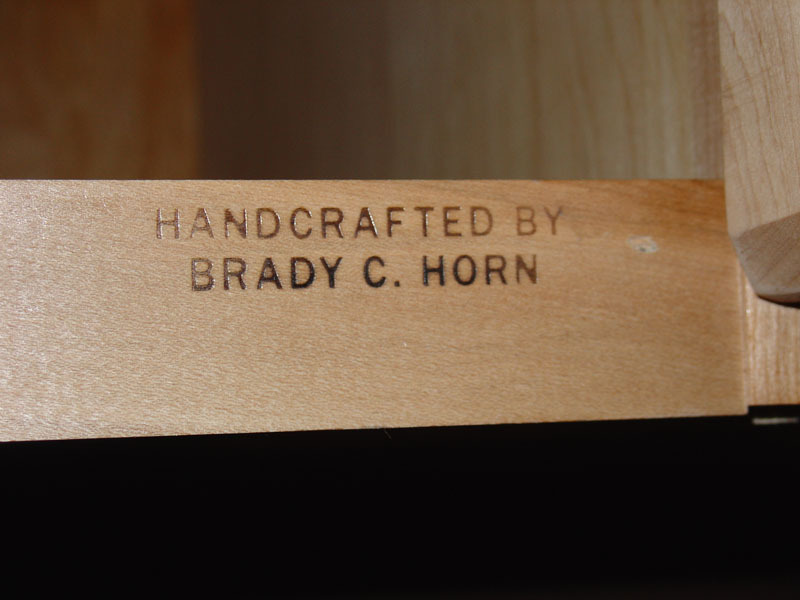 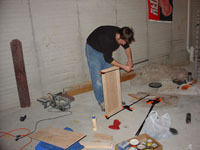 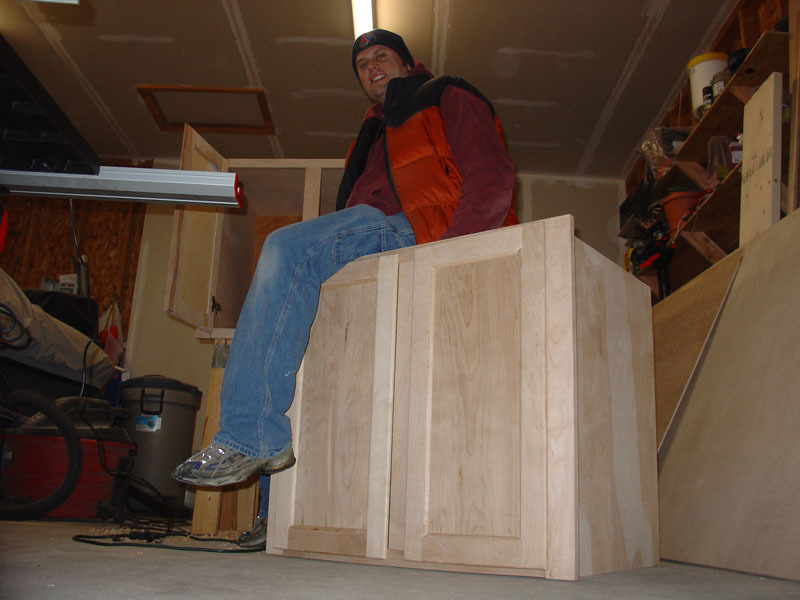 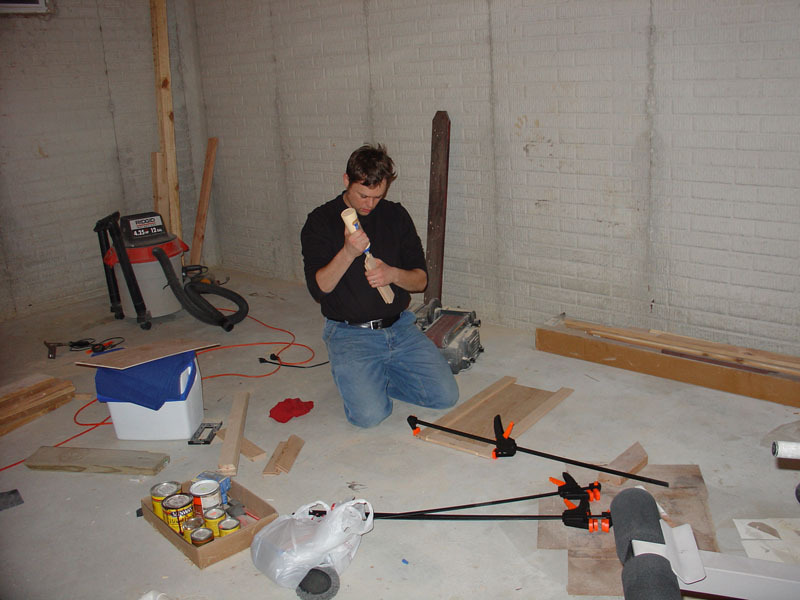 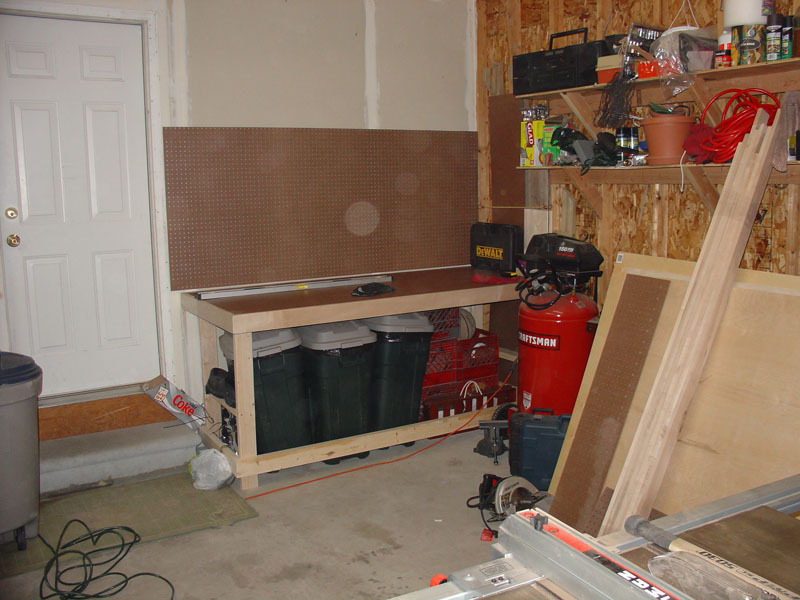 Then, I went about constructing a simple workbench. 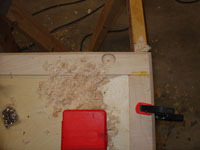 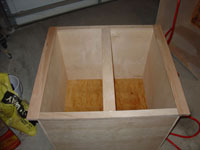 Here are few pictures of the output of one Saturdays work.